Welcome to The Pullman Messenger. We believe the Magazine will fill the information void around the Pullman National Monument with exciting, newsworthy content about the Monument and the surrounding Greater Roseland and Rosemoor communities. In doing so, we hope to educate the public about all the great people, places and events that comprise Chicago’s rapidly changing south lakefront region. In reportage and commentary, The Pullman Messenger’s objective is not to replicate existing content, but rather to highlight all of the Pullman community’s businesses, tourism sites, activities and wonderful dimensions. We will present the Pullman National Monument’s complex and fascinating history, as well as that of the broader south lakefront regions’— news about the recent explosion of culturally based economic development. For decades, countless accounts of Pullman history have been written but, almost without exception, through a singular lens. Articles seen through that lens seldom include accurate African American perspectives, nor many of the singularly significant contributions made by black Americans. Through the Pullman Messenger, we intend to rectify that through this publication, which will enable us to raise what has been a muted voice. As managing editor, frequently, I will contribute articles or commentary with a cultural economic development (CED), focus. I believe it is important because it is occurring in our community right now and no one else is writing about it. According to one authoritative source, Arts Wisconsin, “there is no conventional, or standard, definition for cultural economic development, but, most often, it is considered to be economic development activity that emphasizes artistic and cultural partners participation in the planning and implementation of the effort.” (n.d.). Delaney (2004) argues that the interface between a community’s arts and cultural interests and its economic development interests are “particularly fertile ground for shaping a community’s future because of the unique combination of complementary talents, strengths and assets that can be assembled” (p. 3) Once blighted ethnic and urban communities that are a part of the south lakefront region are rapidly emerging as culturally based CED meccas. Two south lakefront region communities that were the focus of a major research study also reflect this trend. They were Bronzeville and the Pullman community, specifically the northern end of the Pullman district, whose population is 93 percent African American. In this and future issues, we will cover the significance of the National Park Service Designation, the Great Migration and National Park Service Centennials, development of new businesses, highlight existing businesses, and organizations birthdays, anniversaries and much, much, more. We will also feature articles by guest journalists on subjects of regional and national interest. 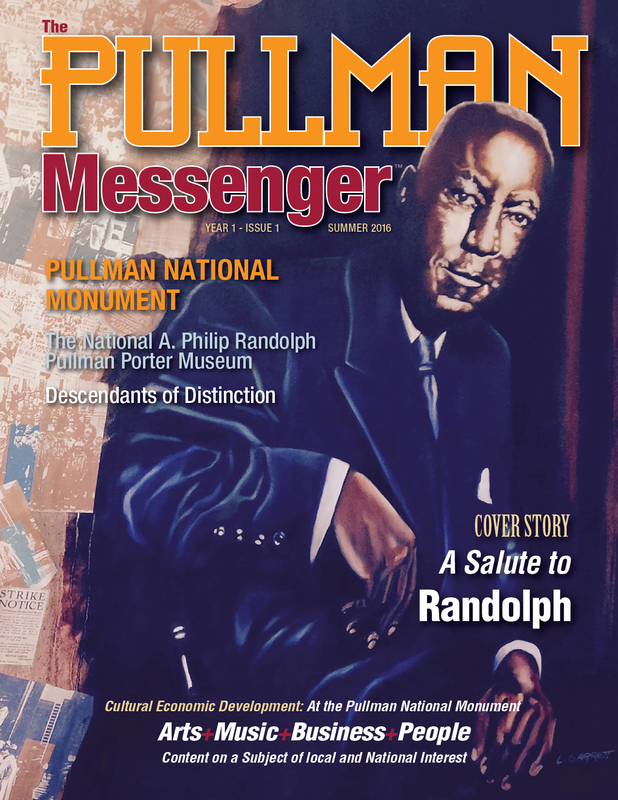 Finally and equally important, The Pullman Messenger will focus on the undercovered, yet fascinating cultural and artistic energy in our communities. Copyright © 2019 The Pullman Messenger. All rights reserved.